The PSC is being hosted in Barcelona for the last one week and there has been a huge turnout for the event in Barcelona. As many as 557 players have so far competed in various events for total prize money of 5 million Euros. There have been more than 70 paid places that have been decided in the PSC event so far and the likes of Ben Tollerene, Steve O’Dwyer, Philipp Gruissem and John Juanda have all won handsomely. 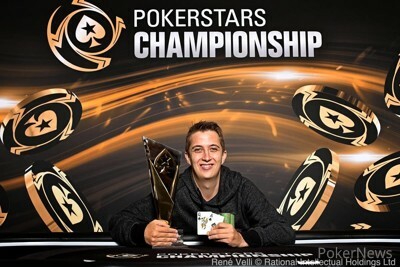 Kaiser is another well-known face in the poker world and he too has made his presence felt in the PokerStars Championship at Barcelona by taking home €735,000 from the €10K PokerStars Championship High Roller. Kaiser is very happy with this performance at the PokerStars and to become a PokerStars Champion. He does not take to live tournaments and enjoyed an EPT Tallinn main event win in 2011. This was the event that made him a somewhat regular at the live events. He does not play in a lot of live events like others and only makes an appearance in one or two events in a year on the poker circuit. Kaiser said after his thumping victory that he had played in an EPT in Barcelona last year and that was the last NLHE tournament that he played. He entered this event’s final table with very less live practice behind him. He said that this was the tournament that he had an emotional attachment to and he enjoyed every bit of winning this tournament.